While PUBG Mobile users across the globe are engrossed in trying to get that delicious Chicken Dinner, Tencent Games is hinting at its next potential partnership with a ‘Together Strong’ teaser on Twitter, as well as a massive hoarding at Times Square in New York City. PUBG Mobile, which recently hit the milestone of 20 million active players, is said to be hiding something up its sleeve. And from the looks of it, we smell a ‘Planet of the Apes’ 50th-anniversary partnership for PUBG Mobile. First, the ‘Together Strong’ slogan that you see in the teaser above is a not-so-subtle reference to the unforgettable ‘Apes, together strong’ dialogue from the films. 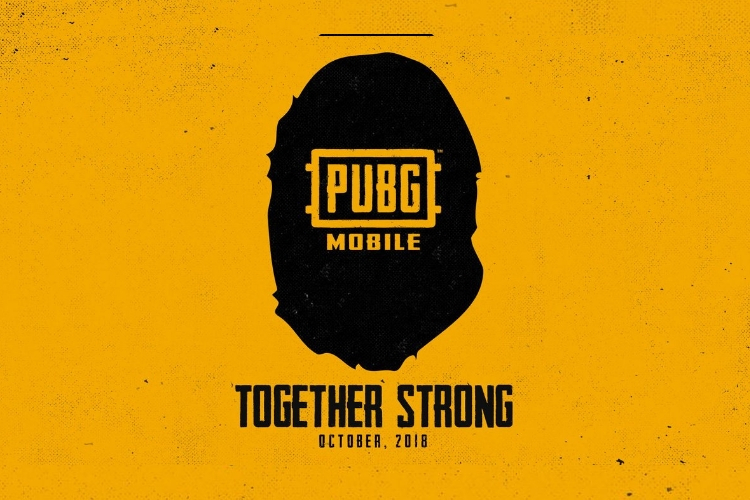 And if that reference wasn’t enough, we also see an ape’s silhouette with the PUBG Mobile logo at the center. Further, we delved a bit into the details about the preparations for the 50th-anniversary celebration of the franchise and discovered that BOOM! Studios has partnered with 20th Century Fox to release two new ‘Planet of the Apes Specials’ comic books. The first one would be called Planet of the Apes: The Time of Man #1 and it’s coming this month. PUBG Mobile would likely be celebrating the franchise with limited-edition themes, movie-themed gear, and other new things. The popular mobile game is no stranger to associating with movie franchises, something we’ve already seen in the past with Mission Impossible: Fallout. PUBG Mobile brought exclusive content including a new parachute skins, the iconic background score, themed challenges, and much more. The game is already going quite strong and has amassed over 100 million downloads in past six months, but timely updates, new features and such partnerships make the game more interesting for players.